A weekend answering service allows you to escape business calls and actually enjoy your days off. Ah yes, weekends. The most beloved part of any week. You leave work behind you and enjoy whatever it is you like to do most with your free time. Get out of town for a couple days, explore your city, spend time with friends and family, or just relax at home. It’s totally up to you what to do with your weekend. However, there are many people like small business owners who are well aware that business never takes a break and they have a hard time enjoying what is supposed to be their days off. Well that is exactly what a weekend answering service aims to help with. It’s no secret that missed calls equal missed business opportunities. And just because it’s the weekend doesn’t mean that those opportunities come to a complete halt, especially if you are in industries like the HVAC, veterinary, funeral, hospice, medical, towing, or property management fields. So we can hardly blame people who take business calls on the weekends, because they don’t want to miss out on any new customers or the chance to take care of existing ones. 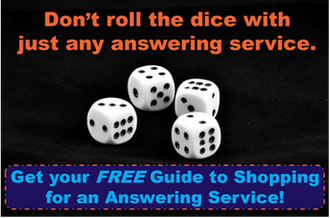 But a weekend answering service is a way to have your cake and eat it too. Weekend answering services are usually available to handle calls 24/7, but businesses can just opt to use them just on the weekends. Simply forward your phones when you leave the office on Friday and know that your calls are in the capable hands of professional, highly trained, US-based agents. They will pass along any messages by email, text, or however you prefer and then you can decide if you want to respond immediately or wait until Monday. Finally! An answering service for the weekends gives you your days off for real! Loverboy’s hit song from the 80s doesn’t say “Everybody’s working weekends.” That would be terrible. The song is actually called “Working for the Weekend” and you can confirm this while giving your ears a treat by listening right now. Follow Loverboy’s lead and actually enjoy your days off by letting a weekend answering service handle your calls. Your business will be in good hands. This entry was posted in Answering Service and tagged answering service features, improve customer service, no missed opportunities by Andrew Tillery. Bookmark the permalink.